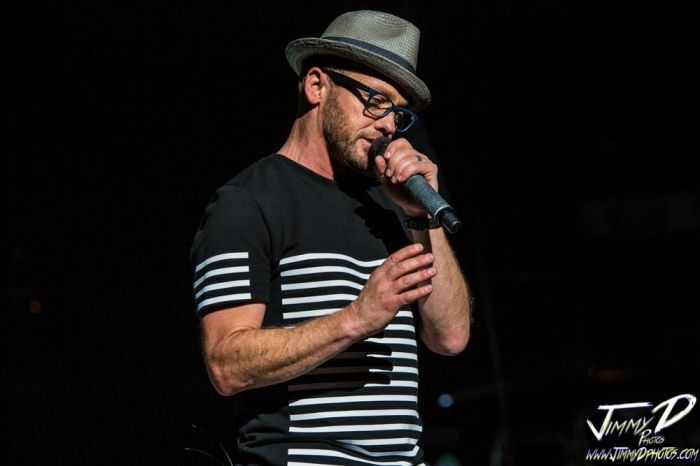 CCM artist TobyMac (Toby McKeehan) has encouraged Christians to be on the frontlines addressing racial reconciliation and shared how his own experience with prejudice inspired his new song "Starts With Me." "I think we're facing some hard times in the United States right now as it relates to race," the 54-year-old artist told students gathered at Liberty University's Convocation. "If your world isn't diverse, I'm not going to say you're sinning, but I'm going to say you're missing out on the richness that I know of living a lifetime of diversity. There's a richness in us coming together. I think we're far more beautiful together than we are separated." The singer said he's "always been about diversity." Two of his five children are African-American, and his wife is Jamaican. But McKeehan admitted his life wasn't always that way. Growing up in Virginia, his father taught him some damaging ideas about race-relations — ideas he said are "tough to swallow" looking back. "And then, he would tell me what his dad shared with him, and I just began to think, 'I want to write a song that's honest and I want change to start with me. I want my kids to see something different." In the song "Stars With Me," which is part of his recently released eighth studio album, Elements, McKeehan sings about "a system that has lost our trust," and the times "when justice just won't come around." The song includes the lines "Say I need you and you need me/Father give us eyes to see." "It's a dialogue," he said of the song. "This dialogue that we desperately need in America, and it has to begin with each one of us. Societal change happens when individuals change." Sometimes, dialogue simply begins with asking questions, the former DC Talk singer contended. "When you're scared to ask somebody from a different culture about themselves, it sort of locks up and keeps us in our shadows as it comes to race relations," he said. "But I think it's just opening, opening your heart, looking from someone else's perspective for a minute. "I think it's our job as believers, we're the ones that are supposed to be the people imitated and it's our job to be aware of what someone feels like — that's called compassion." Being sensitive and taking action when it comes to racial reconciliation is a "beginning" that will lead to conversation, the singer said. "Be sensitive to what people may be feeling and then step out and actually just step out and say, what's up?" he advised. "I just think we have to step across the line sometimes that are in our minds." McKeehan formed DC Talk with member Michael Tait and Kevin Max in 1987 while at Liberty University, and later ventured into a solo career in 2001. Throughout his career, the singer has addressed issues of racism and called on the Church to combat division. Last year, he was featured alongside Kirk Franklin in Grammy Award-winning singer Mandisa's song "Bleed the Same." The song served as a reminder that regardless of people's differences, everyone is a child of God and is the same on the inside. While promoting the song, McKeehan used a quote from Martin Luther King Jr.
"So honored to be on this unifying song with Mandisa and Kirk Franklin. In a time where everything seems so divided, 'only love can drive out the darkness,'" he wrote on Facebook.